Another successful chimney job. We are the best! Bats, Birds, Squirrels, Raccoons, and Flying Squirrels are the most common animals to have inside your chimney in Maine. Midcoast Wildlife Specialists will remove these pests with proven methods of wildlife eradication. We have specific methods of trapping or evicting pest species from the chimney. Our Maine wildlife solutions are fast, humane, and most importantly: effective. There is no pest that can overcome the quality material we use. Raccoons are able to rip through chimney covers made from hardware cloth/wire or aluminum. Stainless steel chimney caps provide a permanent solution to wildlife infestation in the chimney. These custom made caps are not available in stores. This custom chimney cap we install is specially made to deter pest wildlife critters and outlast the life of the chimney once installed. Within the welded steel are spaces small enough so bats cannot slip through, yet strong enough so raccoons cannot destroy them. These custom steel caps will be the ultimate protection for your chimney. The crown of your chimney is the filling that goes around the top flue or the peak area of the chimney. We will find chimney crowns that are in need of replacement due to loose material or cracks in the crown. The crown rebuild goes best in conjunction with one of our custom steel caps. After the pest problem has been eliminated, it’s not uncommon for the chimney to need sanitized. Odors are sometimes noticed from urine & guano buildup. Our team of professionals can get rid of the smells & make sure the wildlife pests can no longer access your chimney. Having a wildlife issue in the chimney area is not uncommon, and we provide permanent solutions to protect the chimney on your roof. However, the rest of your home will still be susceptible for critter intrusions after the chimney is sealed off. Bats in particular will be live-excluded from your chimney, but if the rest of your home is vulnerable, the bats might choose your attic instead. For this reason, full-home exclusion is mandatory on jobs with bats in the chimney. Long-term protection is our goal. 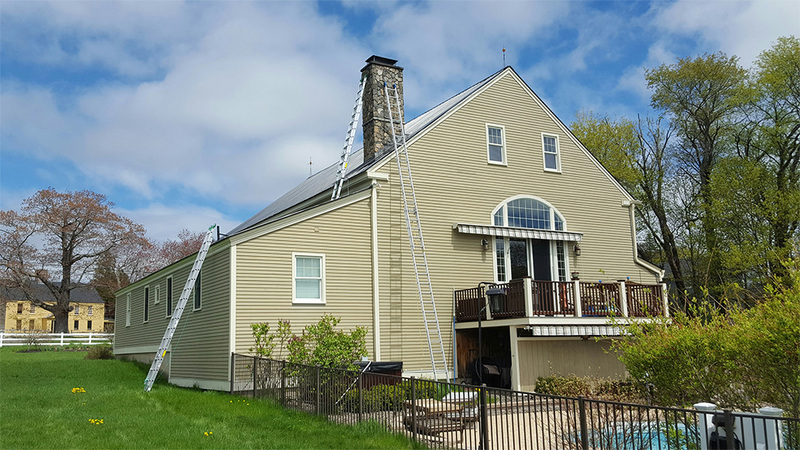 Ultimately it’s up to the homeowner whether or not they want more done, but we definitely recommend full-exclusion VS. protecting only the chimney. If you think critters getting into your chimney was bad enough, wait until they get inside your attic. Love and commitment to a job well done! We have years of experience and a proven track record in the field of chimney restorations. We have the knowledge that comes from professional training and the intelligence to put that training to us. We actually care about what we do and we're here to make our clients happy with a job well done. That's why Midcoast Wildlife Specialists are number 1!